First Aid Training & CPR Blogs List. The Best First Aid Training & CPR Blogs from thousands of First Aid Training & CPR blogs on the web using search and social metrics. Subscribe to these websites because they are actively working to educate, inspire, and empower their readers with frequent updates and high-quality information. First Aid Training & CPR newsletter is a comprehensive summary of the day's most important blog posts and news articles from the best First Aid Training & CPR websites on the web, and delivered to your email inbox each morning. To subscribe, simply provide us with your email address. London UK About Blog Learn more Vital First Aid advice, News and Updates from First Aid for Life - Empower yourself with the skills and confidence to help in a medical emergency. Facebook fans 10,203. Twitter followers 1,499. San Ramon, CA About Blog Adams safety blog provides daily updates and news about First aid training and CPR. Their program helps business, industry and government agency employees meet the requirements for CPR and First Aid training. Facebook fans 1,344. Twitter followers 1,525. London About Blog Siren Training provides First Aid Courses. We offer a wide range first aid courses and training opportunities like our Fire Marshall Course. First aid and fire safety training by professional emergency service staff. Use our extensive experience of dealing with real life emergency situations to make first aid and fire safety training fun and informative. Facebook fans 617. Twitter followers 1,527. England About Blog First Aid Training courses online and classroom through our European network of ProTrainings approved First Aid Instructors. Facebook fans 1,553. Twitter followers 5,593. Canada About Blog Read blog posts from the Canadian Red Cross about First Aid and CPR. Our mission is to improve the lives of vulnerable people by mobilizing the power of humanity in Canada and around the world. Facebook fans 130,717. Twitter followers 154,489. UK About Blog The British Red Cross blog puts a human face on our work, from first aid to emergency appeals and from loneliness to community fundraising. Facebook fans 291,534. Twitter followers 243,387. Eugene, OR About Blog Flexible CPR and first aid training programs designed for individuals and organizations to meet regulatory requirements. Facebook fans 736. Twitter followers 18. USA About Blog First Aid Kit & First Aid Supply $avings-50,000 items in stock. As the leader in First Aid Kit sales and First Aid information, we offer first aid articles on Consumer first aid kits, industrial first aid products, first aid kit refills and fundraising ideas. Facebook fans 1,371. Twitter followers 90. Orange County, CA About Blog SureFire CPR is the premier CPR and First Aid instruction company in Orange County, Los Angeles, and San Diego. Interesting, Funny, and Useful CPR Information To Help Save Lives. At SureFire CPR we embrace lifesaving training with integrity. We strive to empower our students with the confidence to act in an emergency through hands-on training by EMS instructors, innovative instruction techniques, and a comfortable, supportive learning environment. Facebook fans 4,200. Twitter followers 451. Scotland, United Kingdom About Blog We're a co-operative who train first-aiders to have the knowledge and confidence to save lives. Latest articles on first aid from First Aid Training Co-operative. Keep update with sector changes. Facebook fans 987. Twitter followers 1,011. UK About Blog Training provider specialising in first aid qualifications and accredited teaching and assessing qualifications. We pride ourselves on professional, personable training and are passionate about we do. We are SME's within the first aid, health and safety and teachers training sector. We offer both in-house training and open courses nationally at great value for money. Facebook fans 517. Twitter followers 1,062. Tampa, Minneapolis, Harrisburg About Blog We offer CPR certification, AEDs and accessories, first aid courses, and many other trainings. We train over 1000 students every month. All our instructors are American Heart certified. Facebook fans 4,650. Twitter followers 49. New Jersey, USA About Blog CPR Select features first aid and emergency care videos and information. It also provides tips and training. Desford, Leicestershire, UK About Blog SkillBase First Aid are friendly and professional specialists in First Aid training courses. We are experienced at delivering the highest-quality First Aid training courses and we train thousands of delegates each year. Keep up with the latest news, tips and advice from the experts at SkillBase First Aid with our First Aid Blogs. Facebook fans 2,018. Twitter followers 1,027. San Clemente, CA About Blog This blog aims to improve the health and safety of the general public at work, school and home, by being a resource for critical information, skills training and supplies. Facebook fans 1,928. Twitter followers 320. Australia About Blog The leader in innovative First Aid and CPR courses. We offer First Aid courses to individuals and workplaces in Brisbane, Melbourne, Sydney. Our emergency first aid training is available in 14 different locations throughout Australia, or alternatively, we can bring our first aid training courses onsite to your club, organisation or business. Facebook fans 13,670. Twitter followers n/a. Grand Rapids, MI About Blog ProCPR.org is the premiere online-based CPR certification course. Depending on workplace requirements, certification can be received by completing the 100% online or blended course. This training was designed for professionals who need CPR for workplace compliance and want quality, flexible training. Facebook fans 12,309. Twitter followers 970. About Blog Inside First Aid teaches you about emergency medical equipment and its uses, treatments for common medical emergencies, injuries and more. Facebook fans 231. Twitter followers 77. Rancho Cordova, CA About Blog CPR is a skill that many individuals can use to save a life. While you may not use the skill every day, it can be vital to know in an emergency. With CPR Training, you can keep your loved ones safe & healthy. Read Simple CPR blogs to know how CPR & First Aid can be of vital importance. Facebook fans 650. Twitter followers 15. Facebook fans 12,847. Twitter followers 5,338. Victoria, BC About Blog This first aid blog provides useful tips for anyone who find themselves in an emergency where someone needs paramedic & first aid help. Facebook fans 2,258. Twitter followers 104. Oakville, Ontario About Blog Red Cross WSIB-approved certified and recertified First Aid & CPR training in Brampton, Burlington, Milton, Mississauga, Oakville, Hamilton and Stoney Creek. Variety of SOS blog articles related to first aid, children's safety programs and training provided by SOS First Aid and Safety4Kids in Oakville. Facebook fans 1,087. Twitter followers 1,357. San Diego, CA About Blog American CPR Training utilizes the skills and education of individuals throughout the world, with outstanding credentials well beyond the typical training. Facebook fans 830. Twitter followers 80. Grand Rapids, MI About Blog Be ready to help your pet in an emergency. Learn CPR, first aid, and other lifesaving skills that could make the difference for your cat or dog. Facebook fans 1,498. Twitter followers 7,914. Gold Coast About Blog Paradise First Aid is one of Queensland's leading first aid training providers. Stay up to date with first aid information here. Facebook fans 2,676. Twitter followers 39. San Diego About Blog We have CPR and First Aid certification classes in San Diego every week. Facebook fans 853. Twitter followers n/a. About Blog CPR Professor offers nationally recognized CPR Training Online. Receive your online CPR, AED and first aid certification today. Coquitlam, British Columbia About Blog A team committed & dedicated to providing, resources, education and practical training. This blog is all about safety and first aid training. Facebook fans 447. Twitter followers 68. United Kingdom About Blog Our brilliant trainers provide friendly Paediatric First Aid Classes for parents and carers in local areas. Franchise vacancies available. Multi award winning paediatric first aid classes for all the family. Facebook fans 7,462. Twitter followers 1,497. San Diego, CA About Blog Your Source for First Aid, Safety and Disaster Supplies. We are the consumer portal for many safety brands, such as Adventure Medical, Lifeline First Aid, First Aid Only, American Red Cross, Genuine First Aid, Mayday, Guardian Survival, Prestan Products, CPR Prompt and so many others. We are the master distributor for these companies and offer these products at the lowest price possible. Facebook fans 212. Twitter followers 41. Australia About Blog Kids First Aid paramedics teach parents and carers of young children how to respond to the 10 most common first aid situations that our children face every day. Facebook fans 47,246. Twitter followers 35. Facebook fans 1,205. Twitter followers n/a. Atlanta, GA About Blog The American Safety Training Institute aims to remove the complexity from safety training and allow participants to receive high quality training online. Facebook fans 3,752. Twitter followers 49. Orange County, California About Blog OC Safety CPR and First Aid Training is an Approved American Heart Association Training site. We offer weekly CPR and First Aid classes. Facebook fans 3. Twitter followers 9. Woodbridge, NJ About Blog With CPR and First Aid training, keep your friends, family and loved ones safe and healthy. Read USCPROnline blogs to know how CPR and First Aid learning can be important in saving a life when every second counts. Queensland About Blog First Aid Brisbane is a fun and interesting facts blog, join us on our blog and our regular updates on variety of articles to help keep you informed on First Aid. About Blog Tiny Hearts First Aid provides quality baby, infant and child first aid and CPR courses to parents around Australia including Melbourne, Perth and Sydney. London, England About Blog Safety First Aid Training is one of the UK's leading specialist providers in First Aid, Fire Safety and Health & Safety training for the workplace. Facebook fans 57. Twitter followers 170. About Blog Save-A-Life First Aid & CPR is a registered training partner with the Canadian Red Cross. We deliver public first aid & CPR courses. Russell Square, London About Blog Educating & developing lifesavers master first aid skills. Our mission is to promote the value of life, raise the awareness of first aid and develop potential lifesavers within our communities and workplaces. Facebook fans 970. Twitter followers 581. High Wycombe, England About Blog FM Training provides a variety of First Aid & Automated External Defibrillator Courses in Buckinghamshire for Organisations & Individuals. Facebook fans 102. Twitter followers 463. Melbourne - Australia About Blog This blog is all about Reliable, Friendly, Affordable First Aid & CPR Training. Facebook fans 342. Twitter followers 161. Lagos, Nigeria About Blog First Aid by Levande empowers you with the knowledge, skills and tools to manage a medical emergency. With our First Aid Classes and Kits, you are prepared. First Aid by Levande provides useful information on Safety and First Aid on our blog that are useful in everyday and emergency situations. Facebook fans 4,759. Twitter followers 377. About Blog At Head2toe First Aid we passionately believe that quality First Aid training is essential for everyone and we provide flexible, fun, first aid training for everyone. Facebook fans 674. Twitter followers n/a. About Blog Teesside First Aid is all about online first aid training for companies and individuals. First Aid at Work, Emergency First Aid at Work, Paedaitric First Aid, Pet First Aid, Canine First Aid, AED Training and many more including online training. Facebook fans 176. Twitter followers 51. Rugby About Blog Warwickshire First Aid Training is all about the first aid training provider throughout Warwickshire and the West Midlands. Facebook fans 34. Twitter followers 137. About Blog We are a first aid training company and we mainly operate in the Black Country, Worcestershire, Shropshire & Staffordshire. Follow us to keep up with the latest updates. 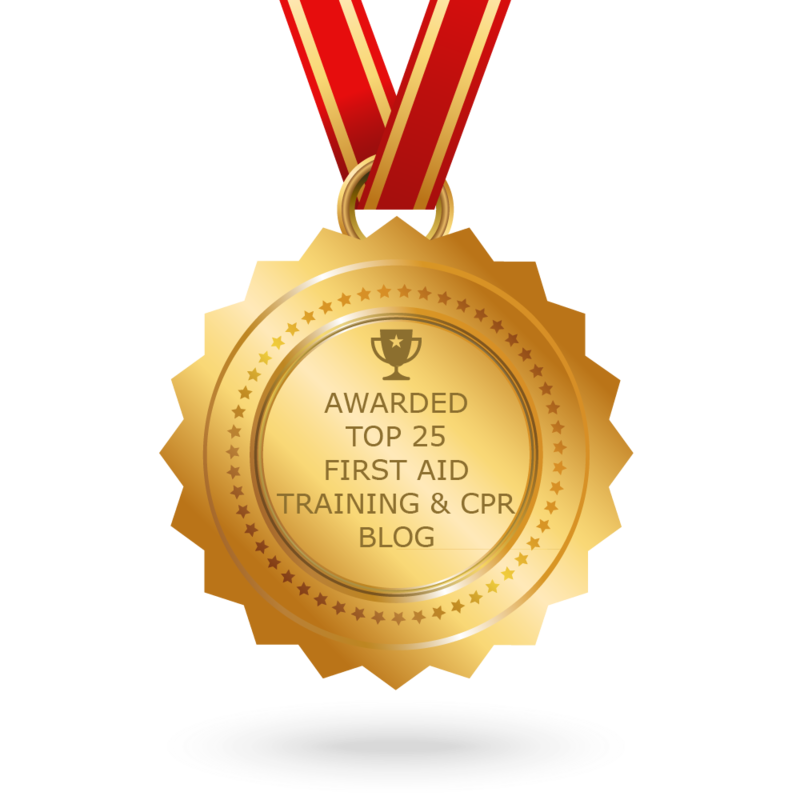 CONGRATULATIONS to every blogger that has made this Top First Aid Training & CPR Blogs list! This is the most comprehensive list of best First Aid Training & CPR blogs on the internet and I’m honoured to have you as part of this! I personally give you a high-five and want to thank you for your contribution to this world.